We want our Baltimore patients to know that a denture is a removable replacement for missing teeth and adjacent tissues. It is made of acrylic resin, sometimes in combination with various metals. Baltimore candidates for complete dentures have lost most or all of their teeth. A partial denture is suitable for those who have some natural teeth remaining. A denture improves chewing ability and speech, and provides support for facial muscles. It will greatly enhance the facial appearance and smile. Complete or full dentures are made when all of your natural teeth are missing. You can have a full denture on your upper or lower jaw, or both. Complete dentures are called "conventional" or "immediate" according to when they are made and when they are inserted into the mouth. Immediate dentures are inserted immediately after the removal of the remaining teeth. To make this possible, the dentist takes measurements and makes the models of the patient`s jaws during a preliminary visit. An overdenture is a removable denture that fits over a small number of remaining natural teeth or implants. The natural teeth must be prepared to provide stability and support for the denture. 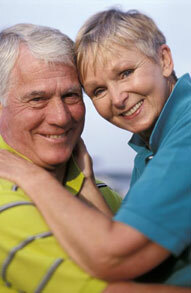 Partial dentures are often a solution when several teeth are missing. Continue to chew food using both sides of the mouth at the same time. Be cautious with hot or hard foods and sharp-edged bones or shells. Some people worry about how dentures will affect their speech. Consider how your speech is affected when you have a number of your natural teeth missing. For more information on Dentures in Baltimore, MD call K. Michael Murphy and Associates, LLC at 410-235-1233 today!